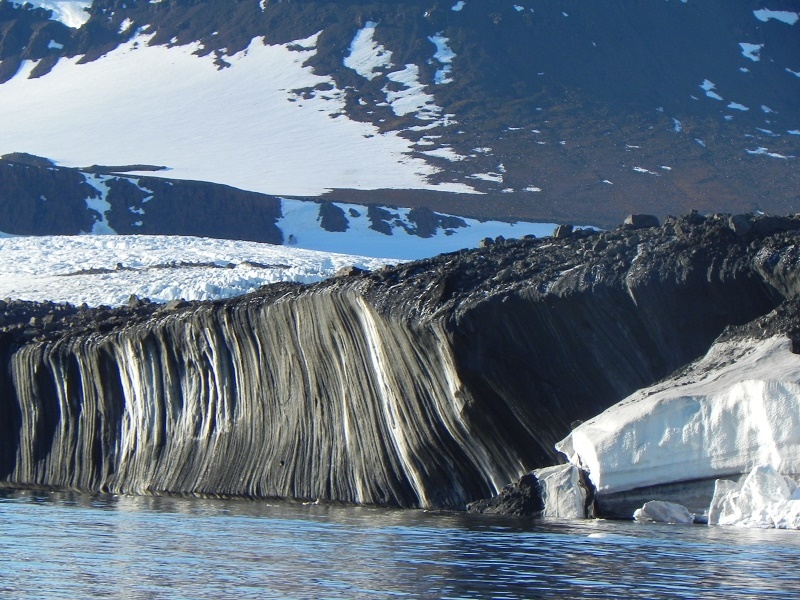 If you are considering booking an Arctic wildlife cruise from WILDFOOT, John can give you a small insight into what to expect. 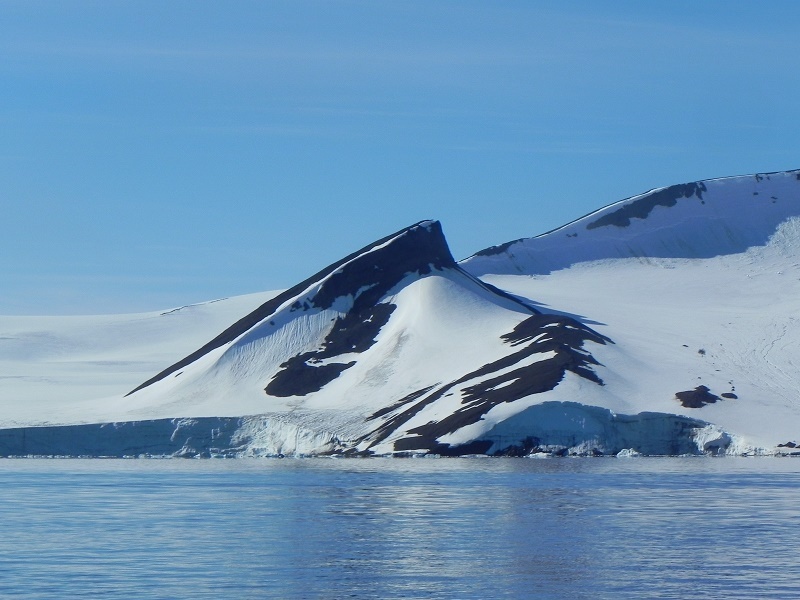 He’s already been recalling highlights of his time spent on the Russian islands at Franz Josef Land – and below, he continues his story from previous blog posts. Tuesday. I woke up to another beautiful day with the sun streaming into the cabin – we were told this is exceptional, because there is usually much more mist in Franz Josef Land. So, we spent lots of time out on the Zodiacs. In the morning, we did a circuit of the bizarrely-named Coal Mine Island: apparently, an explorer 100 years or so ago saw that there were some deposits of coal there, but no one has ever actually lived or even mined on the island! 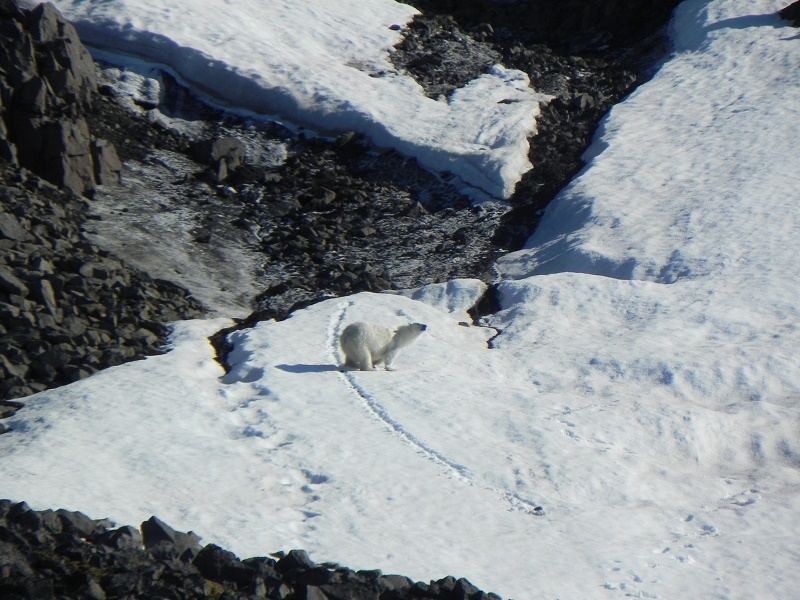 Just 10 minutes out and we saw today’s polar bear, climbing up a steep hillside towards the base of cliff-bound seabirds looking out for young birds that had fallen out of nests. 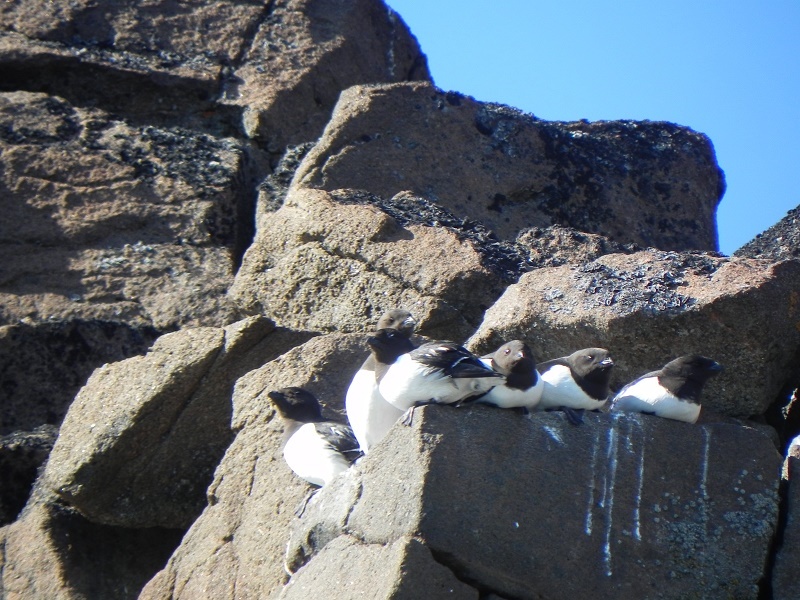 This morning, there were lots of birds, including our first little auks: these are each about the size of a small thrush, but black and white. Also, they swarm around like budgerigars do in Australia and nest on cliff ledges, where you can often see half a dozen or more of them perched in a line. In the afternoon, we found ourselves in a ‘Commonwealth’ Zodiac with our little group of five Aussies, two Kiwis and us, who were keeping loose company on board. We moved onto nearby Apollonia Island, which has more bird cliffs where we saw more little auks – along with Brünnich’s guillemots, black guillemots, kittiwakes, glaucous gulls, Arctic terns, common eiders and some barnacle geese. The day’s highlight was a colony of walruses, mostly hauled up on a beach, but with many of them also in the water, splashing around us curiously. Here in Franz Josef Land, they are all females and pups – the males live in Svalbard and come north once a year for mating. As it happens, we had seen walruses before – Pacific ones in the Russian Far East. That was a haul out of males numbering some 4,000 and we were told that sort of number and more is common with the Pacific genus, whereas Atlantic walruses tend to be in the hundreds. In the evening, we at last got round to having the captain’s welcome cocktail reception, when we all sort of dressed up and had some fizz before dinner. The officers all wore their full uniforms, too. The captain was quite a jolly Russian who gave a humorous talk in passable English.